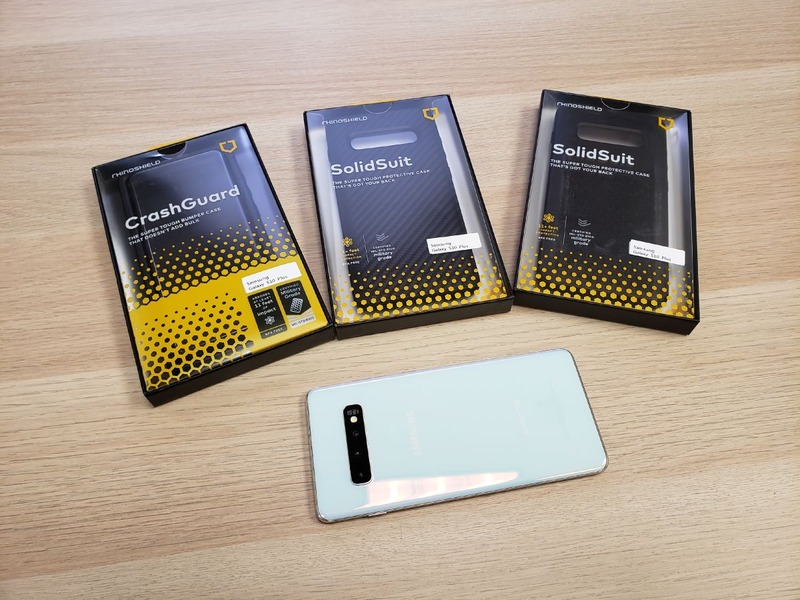 Our good friends at RhinoShield sent us a few of their pre-production cases for the Samsung Galaxy S10 and S10+. While they expect the final versions of these to be done by the end of March, the fittings are final and we got to try them out. The clickiness of the buttons will be adjusted. Texture will be added to the sides of the cases, adding more grip. The glossy inner coating will be replaced with a matte black coating. 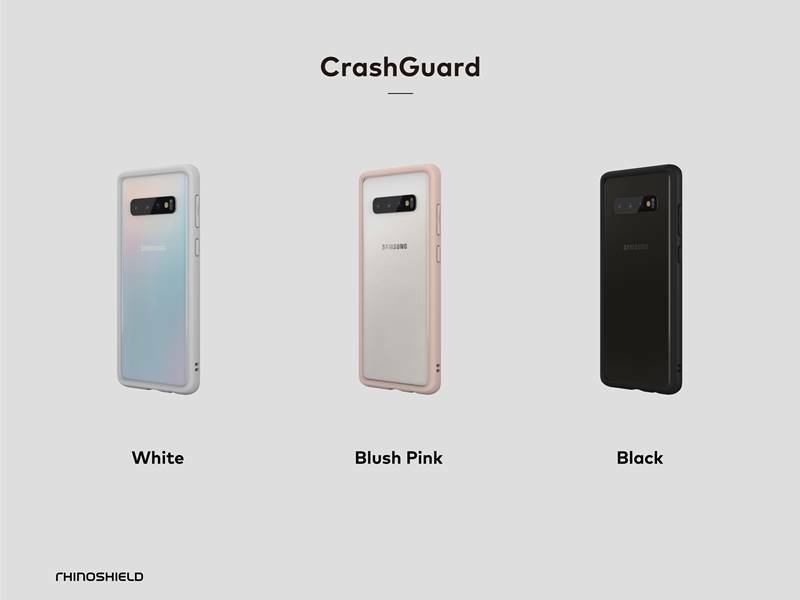 The CrashGuard Bumpers will be available in White, Blush Pink, and Black. The CrashGuard bumpers are $24.99 and act as an ultra light and minimal solution for impact protection. 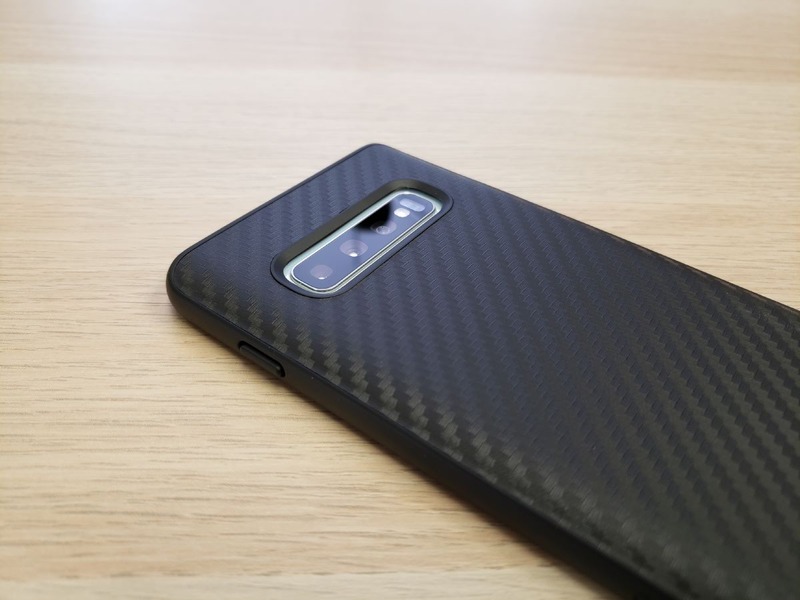 These cases fit very snug around the Galaxy S10 and S10+. The bumper is a tight fit and curves around the edges of the phone to fit the contours. For being such a minimal case, the CrashGuard offers an impressive 11 feet of impact protection. The snug fit of the bumper will ensure that your phone doesn’t pop out, even when you drop it. You can also rest easy knowing that your bumper will not become loose over time, like many other bumpers on the market. 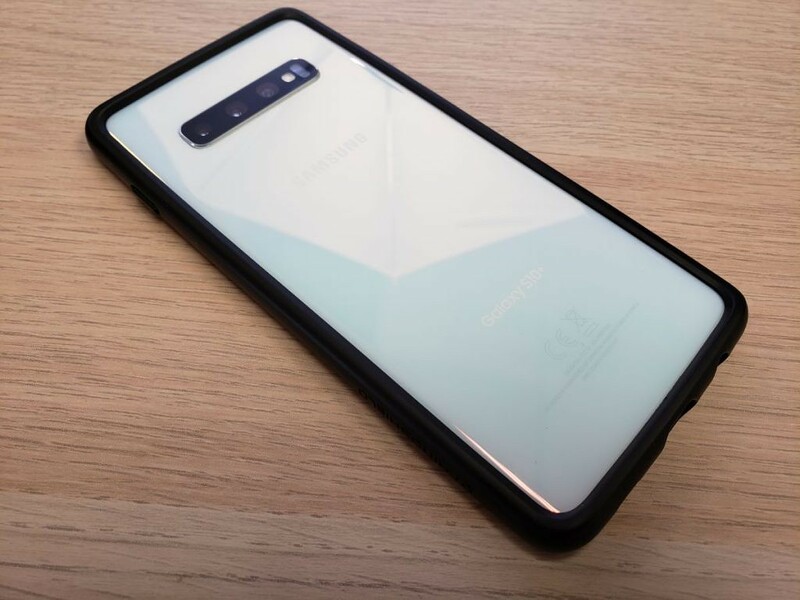 The CrashGuard bumpers for the Galaxy S10 and S10+ that are shown above are not the final version of the bumper design. Some changes will be made before they are ready for production. 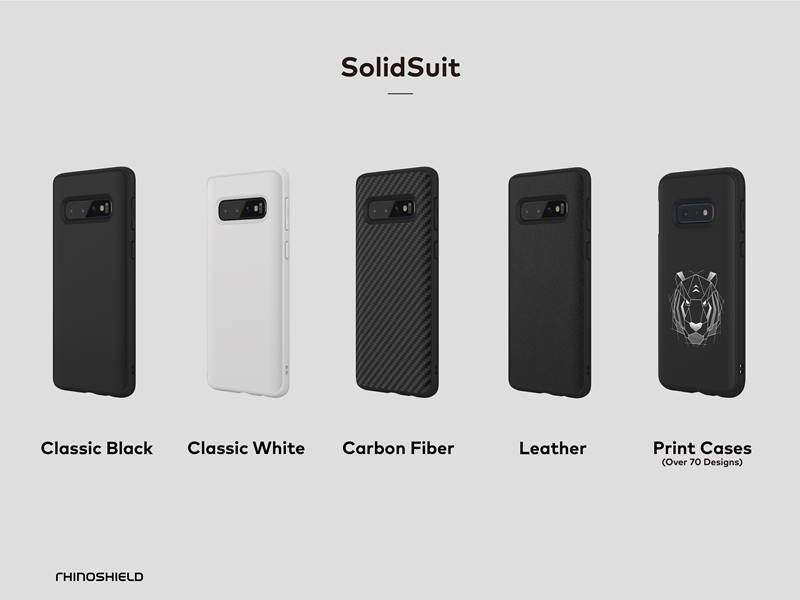 The SolidSuit Cases will be available in Classic Black, Classic White, Carbon Fiber, Leather and over 70 Print Designs. 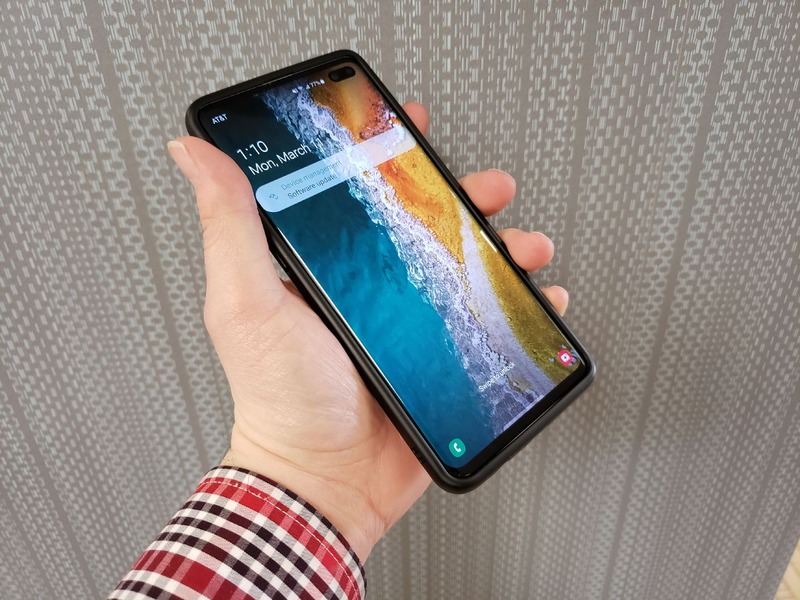 The SolidSuit cases for Samsung Galaxy S10 and S10+ offer a full-body protective solution starting at $29.99. 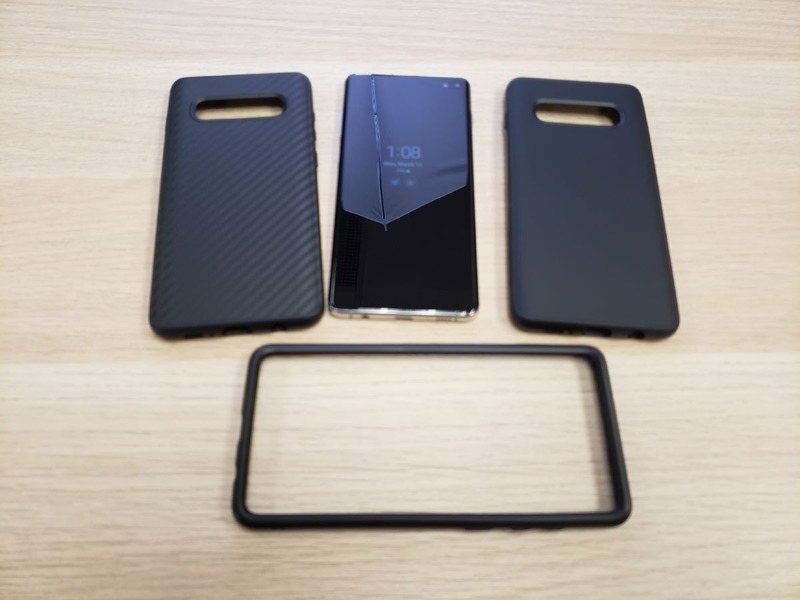 There are four different design options for the Galaxy S10 and S10+ including Classic Black, Classic White, Carbon Fiber, Leather and over 70 custom print designs. These cases are a single-piece shell that is made up of RhinoShield’s signature ShockSpread honeycomb design. These cases are light and made with plastic that is soft to the touch, but offers a grippy feel when you’re holding it. All of the ports are perfectly aligned, including the oversized charging port which can fit larger adapters in it. We thank RhinoSheild for sponsoring this post. Our sponsors help us pay for the many costs associated with running XDA, including server costs, full time developers, news writers, and much more. While you might see sponsored content (which will always be labeled as such) alongside Portal content, the Portal team is in no way responsible for these posts. Sponsored content, advertising and XDA Depot are managed by a separate team entirely. XDA will never compromise its journalistic integrity by accepting money to write favorably about a company, or alter our opinions or views in any way. Our opinion cannot be bought.